If you’ve got a new puppy, you’re probably looking forward to getting it home and making it a part of your family as quickly as possible. However, it might take a while to get your young pup used to it’s new surroundings. It’s natural for any new pet to feel a bit nervous or uncomfortable when you first bring it home, especially when it’s the center of attention and has the whole family fussing over it. If you want to get your new pup feeling comfortable and at home as easily as possible, follow these simple tips. Thankfully, our Doodles are some of the most easy-going pups around, so these steps shouldn’t be that difficult! If your pup starts howling, crying or whining at night, don’t worry. While this might keep you up a bit, and it certainly doesn’t sound pleasant, it should start to subside after a few days. You see, your pup will naturally feel emotional pain after first being separated from its biological family. It’s understandable. These feelings should soon be a thing of the past, and you can start being your pup’s new loving family. These howls are actually part of the evolutionary process. A pup that’s left alone in the wild might not survive for long, so it will naturally let off howls to let its family know where it is and get them to come back. Your new home will be a big transition for a young puppy, and while it will get used to you very quickly, these first few days could set off some of those hard-wired evolutionary responses. The one thing that can help this transition period the most is time, but there are also a few things you can do yourself to help ease the process. You need to try and make your new pup feel as safe as secure as possible, so that it doesn’t feel under threat or like it’s in danger. While you might want to put your pup as far away from where you sleep while it’s still crying, try not to. Make sure it feels loved and secure by keeping your pup close to you as this could move the process along more smoothly and also prevent behavioral problems from developing. Try bringing your dog’s crate or pen into your bedroom for the first few night and let it sleep in the same room as you. You could also leave your pup just outside the door so it doesn’t feel too isolated. Remember: only do this for the first few days and move the pup back to its own sleeping area once the whining and crying has stopped. You don’t want to curb your pup’s development and make it too reliant on you for comfort. That’s why you shouldn’t bring the pup into your bed, either. Give them the comfort and reassurance they need without overstepping the line. When you’ve created a safe environment, you’ll then need to ignore the whining as much as possible rather than giving in to all your pup’s moans. You should never reward your pup with too much attention (and especially teats) when it’s whining or crying. This will reinforce the behavior and let the animal know it can behave like this in order to get what he or she wants. Make sure they’re comfortable and secure and then ignore them until they stop crying. Create sensible boundaries and let your pup know that it’s not going to interrupt your routine. Create a schedule that your pup starts to learn, too. If the pup is crying for too long, you can be stern with it and grab it by the scruff of the neck before telling it to go to sleep authoritatively. Never hit your dog, but you can still be strong and forthright with it. You can offer your pup the right amount of reassurance so that he or she feels loved and secure, but there’s a fine line between this and giving in simply to stop it crying. Once you’ve provided a safe and stable environment, your pup should stop crying reasonably quickly and easily—without you needing to treat or bribe it. Smells are huge for dogs, so when you go to pick up your new pup, bring a towel or blanket from your home. You can leave this with your pup on the journey to get it used to its new surroundings before arrival. If you can, you could even leave the smelly towel with your new pup for a few days with the breeder before you bring it home. This is a great way to reduce anxiety and get your puppy ready for a new environment. 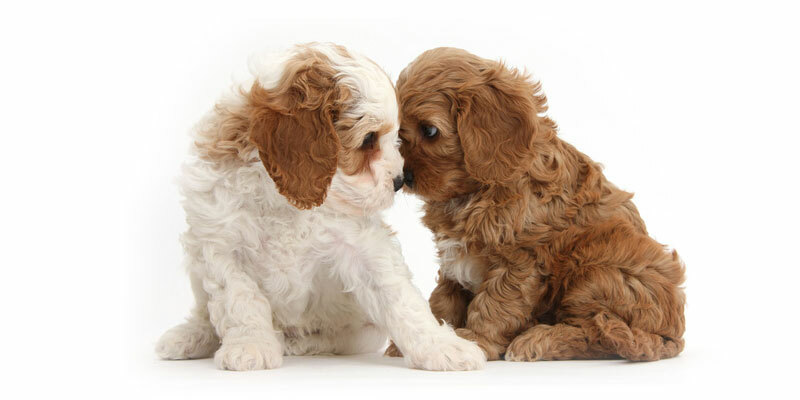 Hopefully, these tips are enough to get you started so that you can build a loving puppy environment for your new family friend. If you need them, you can find a few more puppy training tips in this article. 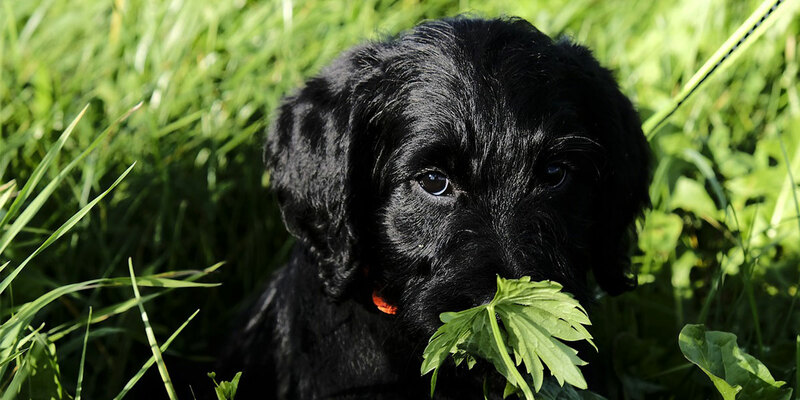 And of course, if you’re still looking for the perfect puppy, our Doodle puppy finder has your back.